Economics for Energy is led by two university professors (from Pontifical Comillas and Vigo Universities) and has several affiliate academics who collaborate in our research and events and/or represent our associated research centers. Moreover, the activities of Economics for Energy are supported by a variable team of pre and post-doctoral researchers and administrative staff. 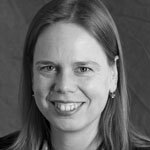 Carolyn Fischer is a senior fellow at Resources for the Future and professor at Vrije Universiteit Amsterdam . Her research focuses on policy mechanisms and modeling tools that cut across a variety of environmental and resource management issues. In the areas of climate change and energy policy, she has published articles on designing cap-and-trade programs, fuel economy standards, renewable portfolio standards, energy efficiency programs, technology policies, the Clean Development Mechanism, and the evaluation of international climate policy commitments. A recent focus of her research is the interplay between international trade and climate policy, options for avoiding carbon leakage, and the implications for energy-intensive, trade-exposed sectors. In areas of natural resources management, she has addressed issues of eco-certification, wildlife conservation, invasive species, and biotechnology, with particular emphasis on the opportunities and challenges posed by international trade. Juan-Pablo Montero is Professor of Economics at the Pontificia Universidad Católica de Chile (PUC Chile) and has held visiting positions at several universities including MIT (Sloan School), Harvard (Kennedy School of Government), Stanford (CLAS and Economics) and UC Santa Barbara (Bren School of Environmental Science and Management). He received a Civil Engineering degree from PUC Chile and M.Sc. and Ph.D. degrees in Economics from MIT. His research work concentrates on industrial organization, environmental and resource economics and has been published in the leading academic journals (AER and JPE). In 2007 he was named "Chilean Economist of the Year" by El Mercurio, the main Chilean newspaper. Bachelor in Law from the Autonomous University of Madrid, she studied senior management at IESE Business School and is a member of the upper body of civil administrators of the Spanish state. Between 1998 and 2004 she served as Director General of the Institute for Energy Diversification and saving (IDAE) and General Director of Energy Policy and Mines in the Spanish government. She has participated, on behalf of the public sector, in the board of directors of different companies related to the energy sector, such as the Spanish Electricity Network, CLH, Enresa and Hunosa, among others. She also represented Acciona as a counsellor for ENDESA. 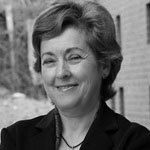 Ms Becerril started her professional career in ACCIONA in the year 2005 and continued her relationship with this company as a member of the board until 2017. Between 2002 and 2007 she was president of the "Energy without Frontiers" Foundation, and from 2008 to 2011 president of the Acciona Microenergía Foundation (FUNDAME), and still belongs to their governing bodies as of today. Ms Becerril is currently president of OMIE. Bachelor in Economics from the University of Deusto, with a diploma in European Higher studies and a master in development economics from the University of Nancy, Mr Atienza has been a professor at the University of Deusto, Minister of Finance of the Basque Government (1989-1991), Secretary of Energy at the Ministry of Industry (1993-1994), Spanish Minister of Agriculture (1994-1996) and president of the Electricity Network of Spain (2004-2012). Currently, among other activities, he is a consultant in Energy affairs and is president of Argo Capital Partners. 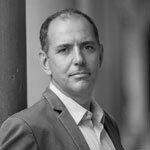 Xavier Labandeira is professor of Economics at the University of Vigo, where he belongs to Rede research group, and part-time professor and director of Florence School of Regulation-Climate at the European University Institute. 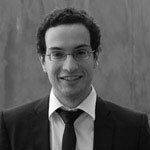 Labandeira is International Research Associate at the MIT-CEEPR and Australian National University-CCEP. After completing his graduate studies at University College London, his European doctorate focused on the use of energy regulations to tackle environmental problems. He has published in the main international journals of his field, has led several research funded-projects, with numerous research stays and visits in universities across the world. He has been lead author of the IPCC Fifth Assessment Report, and is one of the promoters and coordinators of the international research platform on the economics of energy efficiency, Ergon. Pedro Linares is Associate Professor at the Industrial Engineering Department of the ICAI School of Engineering, and currently Vice-president for Research and International Affairs at Comillas Pontifical University, and research affiliate at the Institute for Technology Research (IIT) and Harvard Kennedy School. His research has been published in the main journals of the field and focuses on the relationship between energy, economics and environment, and specifically on sustainable energy, renewable energy and environmental policy, and multi-criteria methods applied to resource allocation. He also coordinates the BP Chair on Sustainable Development. 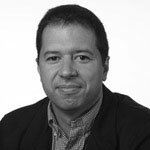 Juan A. Añel is Senior Scientist and Senior Visiting Associate at the Universidade de Vigo and the University of Oxford. Previously Research Fellow in Climate, Risk Assessment and Adaptation Policy at the Smith School (Oxford). Ph.D. in Physics by the University of Vigo with extraordinary award, he has received several awards for his research activities, such as the Gulbenkian prize to the best young researcher in Geosciences, and is chief editor in Atmospheric and Climate Sciences for PLoS ONE. He has been coauthor of the last climate model intercomparison project of the WMO and of the last two reports on extreme weather of the American Meteorological Society. He has published numerous articles, books and reports on subjects related to physics of climate, climate impacts and computational sciences. 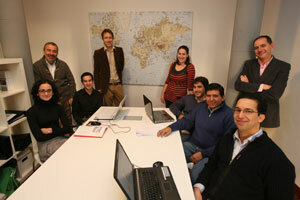 Juan collaborates in the research of Economics for Energy on the impact of climate change in renewables. Moreover, he serves as liaison with the Smith School of Enterprise and the Environment. Massimo Filippini has held a dual professorship in public economics and energy economics at ETH Zürich and the University of Lugano since October 1999. He is member of the Center for Economic Research at ETH Zurich (CER-ETH) and director of the Centre for Energy Policy and Economics (CEPE) to the ETH Zürich. He has also published several books, book chapters and more than fifty articles in peer-reviewed journals on energy economics and policy, transport economics, health economics and the economics of public services. Massimo collaborates with the research activities and events of Economics for Energy in the area of energy efficiency and demand, is one of the coordinators of Ergon and also serves as liaison with CEPE of ETH. Alberto Gago is Professor of Applied Economics at the University of Vigo. PhD in Economics from the University of Santiago, Spain, he was President of the University of Vigo and of the Spanish Association for Energy Economics (AEEE). His research work focuses in the fields of international taxation, tax reform, and green tax reforms. Nowadays he is director of the research group rede at the University of Vigo. Alberto is intensely involved with the research activities of Economics for energy and is a member of its board of directors. 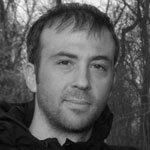 Ibon Galarraga is Research Professor at the Basque Centre for Climate Change (BC3). Ph.D. in Economics from the University of Bath(UK), M.A. Economics at the University of Essex(UK) and B.A. Economics (speciality of International Economics and Development) at the University of Basque Country. 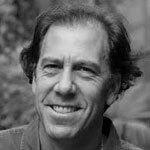 He has worked as an environmental consultant for both public and private clients and has several publications in the field of environmental and resource economics. From July 2005 to May 2009, he was the Deputy Minister for the Environment of the Basque Government, Executive Vice-president of the Environmental Public Society IHOBE and Member of the Board of the Basque Energy Board (EVE). Ibon collaborates in the research of Economics for Energy in the area of energy efficiency and also serves as liaison with BC3. 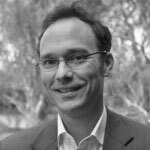 Frank Jotzo is Associate Professor at the Crawford School, Australian National University (ANU), Director of the School’s Resources, Environment and Development (RE&D) program, Director of the Centre for Climate Economics and Policy, and an ANU Public Policy Fellow. Frank Jotzo’s focus is on policy relevant research on the economics and policy of climate change, energy, and broader issues of environment and development. He is a frequent contributor to public policy debates, was advisor to Australia’s Garnaut Climate Change Review, advisor to Indonesia‘s Ministry of Finance, consultant to international organisations and a Lead Author of the Fifth Assessment Report by the Intergovernmental Panel on Climate Change. He currently leads a collaborative research program on market mechanisms for China’s climate and energy policy. Jotzo’s research has been published in leading academic journals such as the Journal of Environmental Economics and Management, and Nature Climate Change. 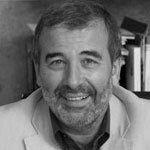 José M. Labeaga is PhD in Economics from the Autonomous University of Barcelona and professor of economic theory at the Spanish Open University, UNED. 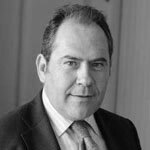 He has been general director of the Spanish Institute for Fiscal Studies and director of the FEDEA-BBVA research chair on new consumers. 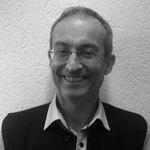 His main research interests lay in the analysis of individual behavior in consumption and labour decisions, and on the simulation and assessment of the effects of different public policies. He has served in the board of different organizations and journals, and has published the results of his research in the main academic journals of his field. José M. intensely collaborates in the research of Economics for Energy in the area of energy demand. Andreas Löschel holds the Chair for Energy and Resource Economics at the University of Münster, Germany. He is a Research Associate of the Research Department "Environmental and Resource Economics, Environmental Management" at the Centre for European Economic Research ZEW, which he headed until June 2014. Since 2011, he has chaired the German government"s Energy Expert Commission to monitor the energy transformation in Germany and serves as Lead Author in the Working Group III contribution to the IPCC Fifth Assessment Report. He obtained his PhD from the University of Mannheim and published widely in international environmental economics, especially the economics of climate change and energy policy, and quantitative economic modeling. Andreas is one of the coordinators of Ergon and one of the organizers of our A Toxa workshop. 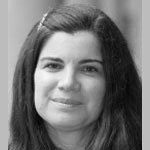 Maria Loureiro is Associate Professor at the Department of Economic Analysis of the University of Santiago, Spain. She holds a MA degree in Agricultural Economics and Natural Resources and a PhD in Economics from Washington State University. Her research interests are related to environmental economics and health economics, with more than 50 international publications in the leading academic journals of her fields. She has also been director of different research funded-projects and has supervised several doctoral students. María intensely collaborates in the research of Economics for Energy in the areas of behavior, preferences, and energy demand. 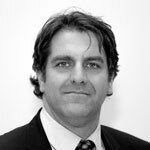 Carlos de Miguel is Associate Professor of Economics at the University of Vigo and member of its rede research group. After completing his PhD in Economics at the Complutense University in Madrid, he has become a leading energy economist. His research has been published in the main international academic journals, and deals with a rich array of topics: from the effects of energy prices on economic activity, to energy taxes and green tax reforms. Carlos is one of the organizers of our A Toxa workshop and editor of its associated publications. 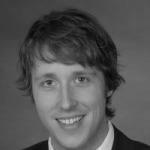 Karsten Neuhoff leads the Department Climate Policy at the German Institute for Economic Research (DIW Berlin). Previously he was senior research associate at the Faculty of Economics at the University of Cambridge, leading projects on the future of UK power system, renewable integration and technology policy and coordinating for the research network Climate Strategies European projects on the implementation of the European Emissions Trading Scheme and North-South Climate Cooperation. 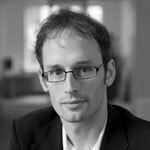 He holds a Diplom in Physics from the University of Heidelberg, an MSc in Economics from the London School of Economics, and a PhD in Economics from the University of Cambridge. Isabel Soares is Professor of Economics and Director of the Master in Economics and Environmental Management at the University of Oporto (FEP). 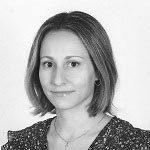 She is also a member of the research Center of Economics and Finance of the Oporto University (cefUP), Fraunfofer Institut für System und Innovationsforschung (ISI), Virginia Polytechnic Institute and State University and Research Group on the Electricity Sector at the Universidade Federal de Rio de Janeiro. She is a consultant in the areas of energy, regulation and innovation, and author of several books and articles in those fields. Massimo Tavoni is associate professor at the Department of Management, Politecnico di Milano, as well as director and deputy coordinator of the Climate Change Economics units at Euro-Mediterranean Center for Climate Change (CMCC) and Fondazione Eni Enrico Mattei (FEEM) respectively. From 2008 to 2010 he was post doctoral research associate at Princeton University, and before then researcher at FEEM and CMCC. His research is about energy and climate change economics, and specifically the modeling and evaluation of international climate mitigation policies. He is also interested in the interplay between energy, climate and environmental policies. Massimo has published extensively in the peer reviewed literature, including work that was featured in "Time" magazine"s list of "The 50 Best Inventions of 2009". He is a lead author for the Fifth Assessment Report of the IPCC, the co-director of the annual International Energy Workshop and deputy editor for the journal Climatic Change. 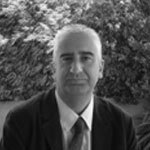 Massimo is one of the coordinators of Ergon and and also serves as liaison with FEEM. Prof. Zhang holds a Ph.D. of Systems Engineering from Tsinghua University. 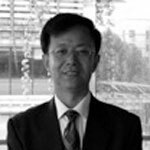 Dr. Zhang is currently a professor of Management Science and director of the Institute of Energy, Environment and Economy, Tsinghua University. Prof. Zhang has conducted research on sustainable energy technology innovation and diffusion, markets, policies, and futures for China. His other appointments with Tsinghua University include director, China Automotive Energy Research Center, and deputy director, Research Center for Contemporary Management. Klaas Würzburg is head of the Clean Energy Lab department at Inova Labs, a consultant in Vigo, and lecturer at the Afundación Business School. 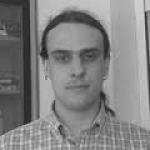 Klaas worked as a postdoctoral researcher at the Universidade de Vigo, with funding from the Fundación Alcoa. He previously was research and teaching assistant at the University of Cologne, Germany, where he completed his doctoral studies in Economics. Mohcine Bakhat is a graduate in Physics from the University Abdel Malek Saasi , Morocco, and PhD in Economics from the University of the Balearic Islands, Spain. He worked as a postdoctoral researcher at the University of Vigo, with funding from the Alcoa Foundation. His PhD dealt with different issues relating tourism and energy demand. David Declercq is an Industrial Engineer (specialized in energy) from the university of KU Leuven in Belgium and holds a masters degree in the electric power industry from the university of ICAI. During his time in Economics for Energy David focused on developing future scenarios of the energy market using mathematical models developed by the IIT. Xiral Lopez holds a PhD in Economics from the University of Vigo and MA in Industrial Economics from University Carlos III in Madrid. His research focuses on the economics of energy and the environment, mainly in energy taxation and energy demand. Alicia Pérez-Alonso received her PhD in Economics from the University of Alicante, Spain, after completion of the QED Graduate Program. She was a Fundación Iberdrola research fellow at the University of Vigo, between 2013 and 2015. Previous positions include a Marie Curie pre-doctoral fellowship at the CAM in Denmark; a postdoctoral research fellowship at the Department of Economics and Max Weber Programme both in the European University Institute in Florence; and a visiting lecturership at the Department of Economics, at Madrid’s Carlos III University. Her primary field of specialization encompasses both theoretical and applied Econometrics, nowadays with a special focus on Energy and Environmental Economics. 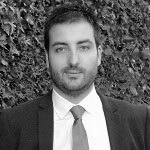 Pablo Pintos hods a MA in Energy and Sustainability and is an Industrial Engineer (specialized in electrical technology) from the Universidade de Vigo. In Economics for Energy has been working as research analyst, focusing on data analysis and validation, and on general support on the description and assessment of energy and environmental technologies.His Ph.D on the European CO2 Emission Trading System was defended at Comillas Pontifical University. Ana Ramos Fernández has a PhD in Economy from Universidade de Vigo. Previously, she did a Master in Economic Analysis in Universidad Carlos III de Madrid with a grand from the Department of Economy. During this time, she was teaching assistant of the subjects of microeconomics and industrial economy. Her doctoral thesis was developed in collaboration with Economics for Energy. During the years 2013-2014 she had a research grand from Fundación Iberdrola. Her research is focused on the field of energy efficiency in the residential sector and the evaluation of informational public policies to promote energy efficiency. In her studies, she tried to include knowledge from behavioural economy, spatial economy or experimental economy. Luis Rey holds a PhD from the European University Institute of Florence. He currently works as an analyst at the IPTS , after several years in a research position at the BC3 . 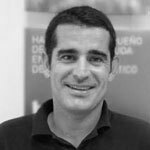 Luis was a postdoctoral researcher at the University of Vigo, with funding from the Alcoa Foundation. 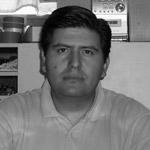 Jorge A. Rosas holds a PhD in Energy Engineering from the National Autonomous University of Mexico. He was a postdoctoral researcher at the University of Vigo and Economics for Energy during 2011 and 2012, with funding from the Mexican National Commission for Science and Technology. He has published several articles in international journals on energy efficiency and environmental sustainability. He collaborated in Economics for Energy, with special attention to energy issues of residential sectors in developing countries. 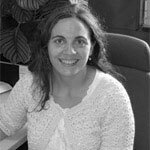 Susana Silva holds a PhD in Economics from the School of Economics of the University of Oporto (FEP). She is currently a lecturer of Lusíada University, Portugal, a member of the research Center of Economics and Finance at the University of Oporto (cefUP) and has enjoyed a postdoctoral research grant at the University of Vigo from the Fundação para a Ciência e Tecnologia (FCT) of the Portuguese government. Her main research interests lay on the relationship between the economy, the energy sector and the environment, areas in which she collaborates with Economics for Energy.